Participants also took subjective tests of their thinking and memory skills at least four years before the end of the study, when they were an average age of 73. The test is designed to detect changes that people can notice in how well they are remembering things before those changes would be detected by objective cognitive tests. Changes in memory reported by the participants would be considered precursors to mild cognitive impairment. The six questions include "Do you have more trouble than usual remembering a short list of items, such as a shopping list?" and "Do you have more trouble than usual following a group conversation or a plot in a TV program due to your memory?" 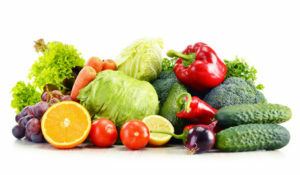 The researchers also found that people who ate larger amounts of fruits and vegetables 20 years earlier were less likely to develop thinking and memory problems, whether or not they kept eating larger amounts of fruits and vegetables about six years before the memory test. The study does not show that eating fruits and vegetables and drinking orange juice reduces memory loss; it only shows a relationship between them. Next article:Infections A Trigger For Heart Attack Or Stroke?